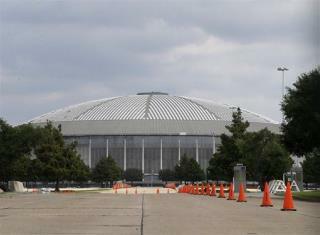 (Newser) – It may not have the cache of century-old time capsules in Boston or New York, but the hunt is on for one buried somewhere beneath the vacant Astrodome in Houston. As the Houston Chronicle explains, workers buried it when they broke ground on what came to be known as the Eighth Wonder of the World on March 27, 1963. Nobody remembers where, however, which is why the bomb squad from the Harris County sheriff's department was at the stadium Thursday, poring over its concrete with ground-penetrating radar. Many fond memories attending events there - and going to Astroworld nearby. Wonder if anyone has looked at the newpaper from that time for clues? Would have been an event with pictures. 1963 is not that long ago folks. The coliseum in Rome has been there for over 2000 years. There is no newspaper article with a photo from that time showing the people putting the time capsule in the ground? What's in the capsule? Is that where Houston hid the fact that Rusty Staub is gay?